A Detroit man has been charged in connection to the fatal shooting of a Wayne State University police officer in 2016, Wayne County Prosecutor Kym Worthy announced today at a news conference at the university police headquarters. Sgt. Collin Rose conducted a traffic investigation of Raymond Durham, 60, on Nov. 22, 2016 at 6:30 p.m. in the area of Lincoln and Brainard Streets in Detroit, and shortly after Rose called for back up, it is alleged that Durham, who was riding a bicycle, shot Rose in the head and fled on foot, according to a news release from the prosecutor's office. Rose died from the wound the next day. 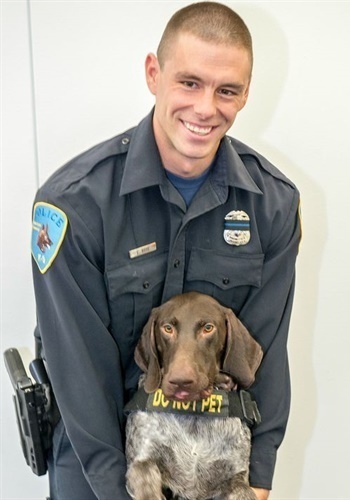 "We lost a valuable member of our department, we lost a very young officer with a great future in him," said Wayne State University police chief Anthony Holt, at the news conference. The prosecutor's office is charging Durham with one count each of first-degree premeditated murder; murder of a peace officer; possession of a firearm by a felon; and two counts of felony firearm. Durham could face life without parole on both the premeditated murder and murder of a peace officer charges, the Detroit Free Press.